Chennai Super Kings (CSK) is one of the successful teams in the Indian Premier League (IPL) history and has already clinched three titles. From the first season, MS Dhoni is in command of the Super Kings. Playing under Dhoni has helped a lot of youngsters. Ravindra Jadeja and Ravi Ashwin are some of the examples. CSK Squad in IPL 2019: Team Profile, Schedule of Chennai Super Kings in VIVO Indian Premier League 12. 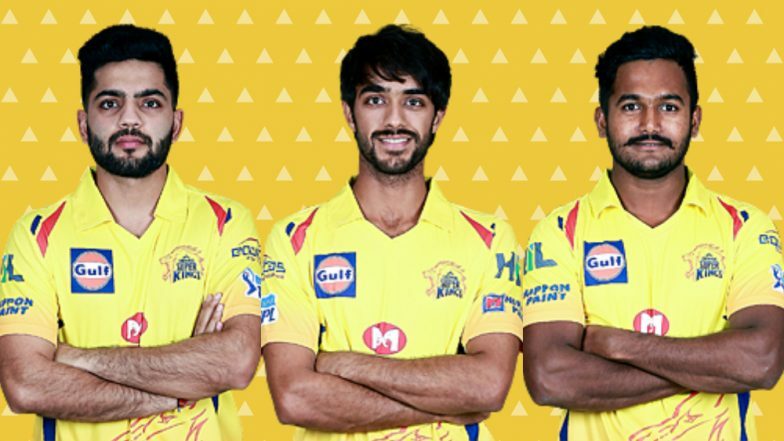 Though the CSK squad is loaded with experienced players, there are youngsters in the Chennai ranks who will be itching to learn under the leadership of MSD. With Super Kings retaining their core of the side that featured in last season, it will be interesting to see whether new players will get a chance in IPL 2019 or not. We have listed three new players from CSK squad that we think could be handy for the defending champions. Chaitanya Bishnoi: The batting all-rounder was part of the CSK squad last year as well but did not feature in any of the game for CSK. The 24-year-old has played 19 T20s. He has scored 383 runs and has also scalped two wickets. Dhruv Shorey: The Delhi batsman made his IPL debut last year for CSK. He, however, featured in just one match and managed to score only eight runs. In 27 T20s, the 26-year-old has scored 605 runs which includes five half-centuries. Meanwhile, Chennai Super Kings will be looking for their record fourth title. Last year, CSK clinched their third IPL trophy after defeating Sunrisers Hyderabad in the final. CSK happens to be the only team in IPL’s history to successfully defend their title (2011 edition) an will be looking to emulate that this year as well.